The hair ornament made from the tradition technique "tsumami" of Japan is called a Tsumami-kanzashi. 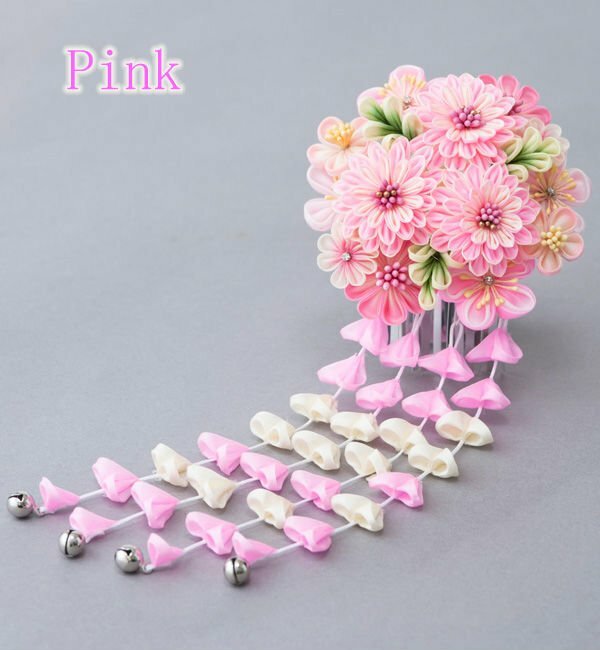 You can freely distribute these 30 pieces according to three colors. **A NOTE ABOUT COLOR: Color may vary since monitors differ. 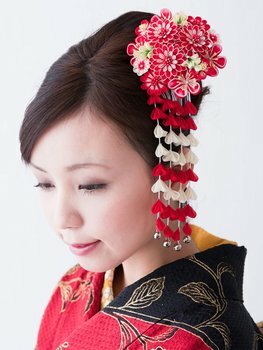 The hair ornament made from the tradition technique "tumami" of Japan is called a Tumami-kanzashi. It is a handcraft of historical Japan. The cloth of silk is folded with tweezers and the one motif a piece of the flower and the butterfly is expressed artistically. 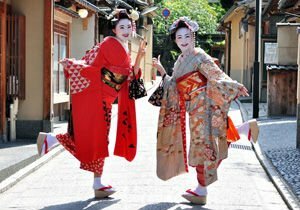 It often chiefly decorates it according to clothes of Japan that is called KIMONO. It is very pleased as the souvenir to foreign countries. This is being made by the workman who has high-end technologies. It is not the one made by the hobby handicraft lover. This mark is evidence of the commodity that the official organization admitted. Mukoujima in which our company is located is in the restaurant street region that is called Hanamati, and there are a lot of Geishas and Maiko. They patronized a lot of Kanzashi of us. The technology and the design evolve newly every day though it is atmosphere that feels the tradition. Thank you for looking at my site!